Can we measure diastolic blood pressure by palpation ? Learned physicians will agree, BP recording by classical auscultatory method is not always an easy task ! 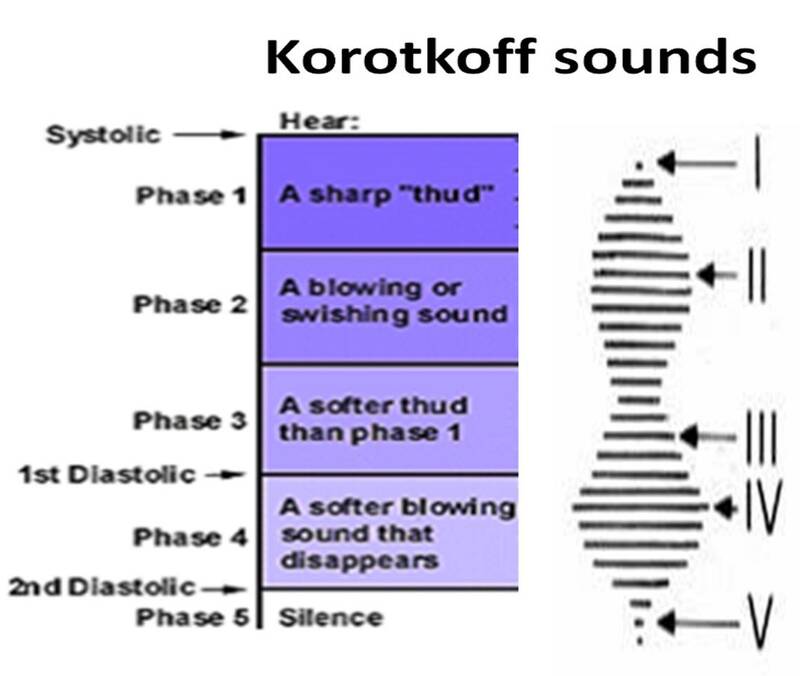 Since Korotkoff sounds are low frequency sounds , it is best heard with bell of the stethoscope ? How many of us do it ? There is little surprise , two BP recordings rarely match even if it’s performed minutes apart ! While phase one is easily identified , the gap between phase 4 and 5 can be very narrow and differentiating them is often an auditory illusion. Korotkoff sounds is subjected to severe tissue plane damping esepcailly in low flow states and obese arms. So is there an alternative method to measure diastolic BP ? What about diastolic BP ? In this technological era , it may appear foolish to depend on a tactile measurement . But as these articles suggest , it is worth a try! In certain population we know the kortokoff sounds are low quality .Auditory interference can be more than tactile sensation. In those hands ,Korotokoff equivalents can be felt by sensitive fingers. How does automated BP recorders sense systolic and diastolic BP ? Does it sense the sound or feel the vibrations. Vaidya JS, Vaidya SJ.Diastolic blood pressure can be reliably recorded by palpation.Arch Intern Med. 1996 Jul 22;156(14):1586. TPA is fibrin specific . . . still result in more stroke than streptokinase , why ? We know streptokinase is a non fibrin specific agent that results in systemic lytic state and hence more chance of bleeding. TPA is fibrin specific and it will act only on fibrin bound to clot , hence systemic bleeding risk should be less. How do you explain this apparent paradox ? The fibrin selectivity pf TPA is not absolute* . The lytic power of TPA is more hence stroke is more likely. In the post TPA protocol heparin is mandatory and this contribute to stroke risk. 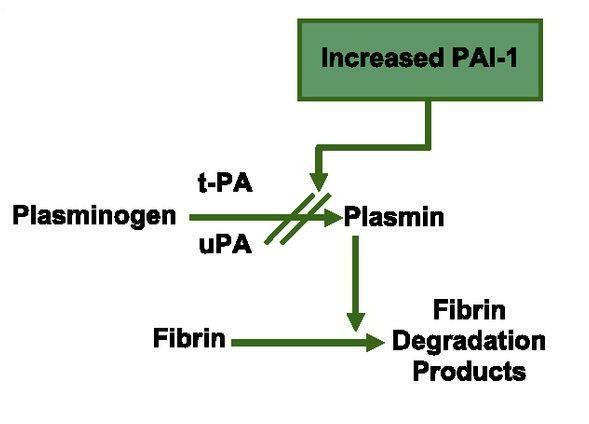 *What happens o fibrin degradation products (FDP) levels after TPA ? FDP levels do increase after TPA .This peaks at 1 hour after lysis.it Correlates well with risk of stroke. (Ho CH, Wang infarction.Thrombosis Research 1990, 58(3):331-341) ). Needle to Balloon time (NBT) : A new paradoxical time window in STEMI ! Pharmaco Invasive approach (PIA) is the new mantra in the management of ACS.It simply means the intention to do PCI should always be the driving force in every STEMI patient , whether the Initial lysis is successful or failed . What to do after lysis ? If the initial lysis has failed “Rush” them for an emergency PCI. If Initial lysis is successful “Send” them for PCI in a less emergent manner. Why the 3 hour period for PIA ? One of the primary reason for f-PCI to fail is , the very narrow time window between drug and balloon which somehow end up in more hazard (Needle -Balloon window) . Lytic agents and PCI even though we assume to compliment each other real world evidence indicate they share a love hate relationship . Beware, PIA is one form of facilitated PCI. If we agree routine f-PCI is a failed concept we are in for real trouble. PIA indeed may masquerade as f-PCI if you combine lytic and PCI in sequential fashion in a hurry ! My point of view is is a successfully lysed STEMI should not be rushed to cath lab .If he some how reach the cath lab ultra fast manner , it behaves like a f-PCI and he is going to harmed more ! by the current evidence base isn’t ? If the inital lysis was successful , with a less complex anatomy, it is possible your PCI that is going make the lesion more vulnerable. **Still , you need to facilitate the PCI in complex intervention in true rescue situation.That’s were we require the collective wisdom. We have difficulty in identifying true success and failure of lysis .Vagueness with which we make decisions in CCUs and cath labs , is exemplified by the following facts. Post thrombolysis , 40% patients with persistent ST elevation are asymptomatic and 30 % of all those with complete ST regression , still have occluded IRA. We are also uncertain when do the muscle truly die after a STEMI ! It is 6 hours in some, 12 in many, 24h in few , 36 h in a lucky ones .The role of collaterals, intermittent patency , individual variation resistance to myocardial hypoxia injury cannot be be quantified . The importance of Needle to Balloon time (NBT) time in PIA is to be strongly emphasized. This time can vary between 1-24 hours .But practically it will start from 3 hours . The irony is , we have conflicting engagement with time in PIA. We have to strive for both narrowing as well as intentionally prolonging this time window . It has to be narrowed in true rescue situations and optimally prolonged (Or is it indefinitely ! ) in non rescue situations ! Can we do pharmaco-Invasive approach(PIA) in PCI capable center ? Even in PCI capable centre one may get struck in proceeding with anticipated primary PCI for various reasons . If delay is anticipated we have to fall back on thrombolysis .This we call as unscheduled or bail out phamaco Invasive strategy . Intentional PIA in a PCI capable hospital for all low risk MI is also a viable and option .Never think primary lysis for STEMI even if we have lab ready is serious medial crime . After all , pPCI has a very marginal benefits in if any in all low risk STEMI! Failed thrombolysis in diabetes : What is the mechanism ? This tilts anti-fibrinolytic forces towards thrombosis. During STEMI the success rate of fibrinolysis is significantly lower in diabetic population because high levels of PAI 1 . The triad of DM,Obesity, Insulin resistance is a powerful predictor of poor response to thrombolysis. 1.Mak KH1, Moliterno DJ, Granger CB, Influence of diabetes mellitus on clinical outcome in the thrombolytic era of acute myocardial infarction. GUSTO-I Investigators. Global Utilization of Streptokinase and Tissue Plasminogen Activator for Occluded Coronary Arteries.J Am Coll Cardiol. 1997 Jul;30(1):171-9. 4.Masoomi M1, Samadi S, Sheikhvatan M.Cardiol J. Thrombolytic effect of streptokinase infusion assessed by ST-segment resolution between diabetic and non-diabetic myocardial infarction patients.2012;19(2):168-73.